It’s was back to clouds and some rain in Juneau. With these conditions I headed back downtown and noticed the view of the pilings under the pier. 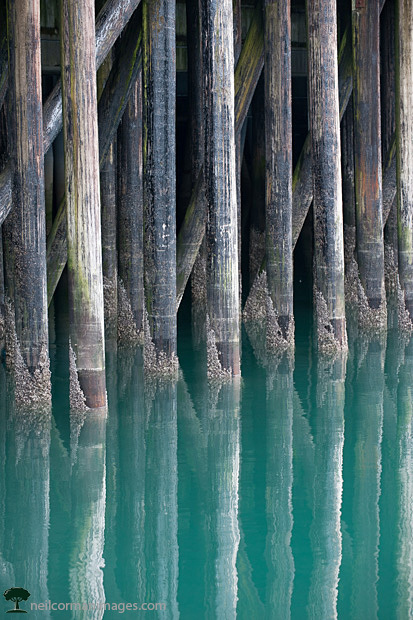 Using a long lens I isolated a subset of pilings and worked to catch the reflection in Gastineau Channel. The tide was at a normal level allowing some of the growth to show just above the water level at this time today.